When I am traveling far from home, I don’t think twice about getting up extra early. I don’t want to miss special moments. This was the case in Luang Prabang, Laos. 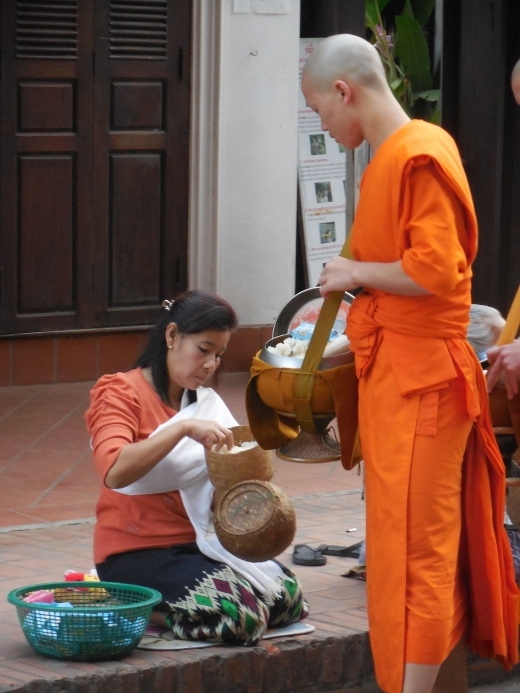 Hundreds of monks walk through the town as people provide food offerings. In the hush of pre-dawn, I get myself situated to participate in the ritual. In parallel, the town market is setting up. As the morning’s darkness turns to dawn, the vibrant colors of life emerge. I love getting day trip referrals! When I heard that Gouveia Winery in Wallingford, CT holds an annual harvest event that makes you feel that you’re in Europe, I signed up. 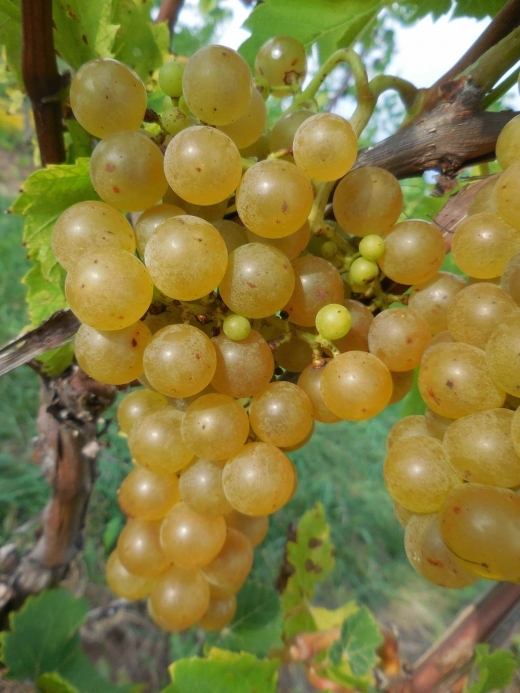 Following a quick tutorial, I became a member of the army of volunteers that harvested 75% of the grape fields. The weather was perfect, the views from the field spectacular and the earthy feel was healing. I didn’t see anyone on a cell phone for hours. I love that “gone away” feeling. An adventure can occur without traveling great distances. 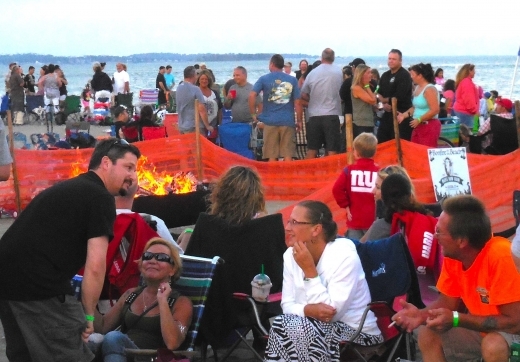 An example was “Bonfire on the Beach” on the last day of summer at a local beach. Rather then go it alone, I invited a group of solo travelers and together we celebrated the end of summer. We were visiting the beach beyond a time we wouldn’t normally do on our own. We shared a beautiful sunset, walks by the water’s edge and dancing in the sand.